NEW! FERROFLUID Display-Cell for safe magnetic experimenting! Ferrofluid can be very messy if mishandled. For this reason we offer this safe alternative. 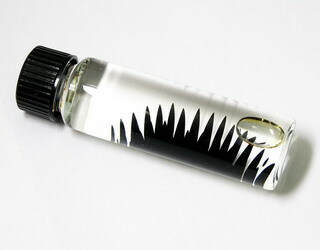 An adequate amount of ferrofluid stored in an alcohol water mixture. It is not necessary to open the vial for experiments.